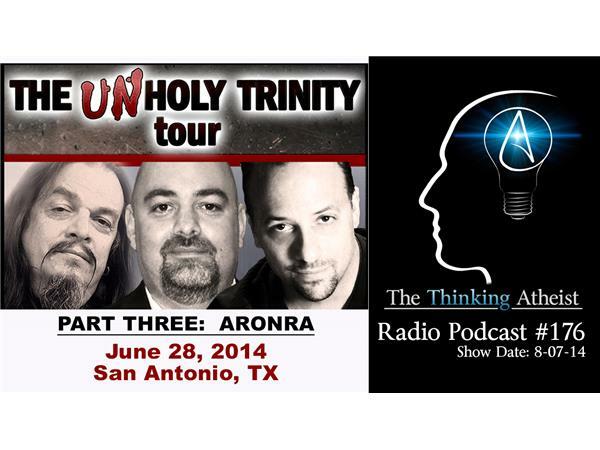 In the spring of 2014, atheists AronRa, Seth Andrews and Matt Dillahunty teamed up for a 3-city tour bearing the tongue-in-cheek-titled name, "The Unholy Trinity." This podcast features the audio from AronRa's San Antonio presentation, and it's part three of a 3-part podcast series from this tour. Enjoy.